ROCKLIN, Calif., June 14, 2016 -- The management team at Franchise Services, Inc. in Mission Viejo wanted more choice and control over annual utility expenses. This included reducing the pain from one of the highest demand charge tariffs in the nation. So the company invested in JLM Energy's solar plus storage smart energy management technology that will make it possible to rely on stored energy during peak times to lower electric bills. 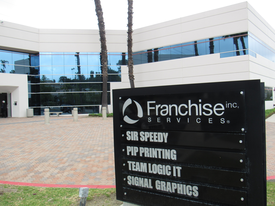 Franchise Services occupies a 44,000 square foot office building in Mission Viejo and has an annual electricity expenditure of $120,000. The new commercial grade Gridz system combines two 30 kW/60 kWh battery systems with solar panels. The company qualified for California's SGIP rebate as well as the Federal Incentive Tax Credit for energy storage systems. The $450,000 system quickly became a $290,000 system net of tax and incentives. Dan Conger, Chief Financial Officer, expects a rapid return on investment. "We estimate that implementing solar and energy storage will cut our utility expense by 75%," Conger said. Our calculations show the break-even point on this system is 48-months." Utility companies calculate electricity charges for businesses based on total kilowatt-hours consumed and the rate at which this energy is used. The rate of energy consumption is referred to as "demand charges" and it can account for up to 50% of a monthly energy bill. JLM Energy's smart software, Measurz, analyzes historical energy consumption trends and then develops efficiency recommendations that include the exact combination of storage and renewable energy needed to limit demand charges. This makes it possible to rely on stored energy during peak times or feed excess energy back to the grid at a constant rate, resulting in lower bills. JLM Energy, VP of Enterprise Sales, Nathan Newsom said, "Combining solar and energy storage without a significant loss in efficiency is the cornerstone of our Gridz technology. Energy storage is the next frontier of renewable energy and it is a win-win for businesses and utilities. The business owner saves money and the utility gets more distributed energy resources online and a customer with a more consistent rate of use over time." The emerging energy storage market is being driven by improved energy efficiency, the declining cost of solar and enhanced energy storage that is made possible by improved battery technology, creating a huge benefit to consumers. Federal tax incentives for solar plus energy storage systems are currently available for up to 30% of the total cost. The Franchise Services project is the first of its kind to receive full permits in Mission Viejo and will be used by the City as the gold standard by which to qualify future projects. JLM energy is an innovative technology company. We develop quality products that bring value to our customers. We offer a broad set of renewable energy and energy storage products. We design every aspect of our products from inception all the way to installation and service. JLM Energy's full portfolio of advanced energy solutions provides consumers with choice and control over their electricity expenditure. Founded in 2011 by Farid Dibachi and Kraig Clark, JLM Energy is solely funded by the two partners. Franchise Services, Inc., (FSI) is a franchise management company that owns the franchise brands, Sir Speedy, PIP Printing, Signal Graphics, TeamLogic IT, MultiCopy in the Netherlands while partnering with Eastnet Print in China. Franchise Services has a 54-year history managing award-winning brands that support the small-to-medium-sized business market. The company's worldwide reach encompasses nearly 400 locations in 12 countries. FSI's brands have received numerous awards and recognition including the Franchise Times Top 200, Entrepreneur's Franchise 500, Quick Printing Top 100, Printing Impressions 400, Franchise Times Fast 55, and Franchise Business Review's Franchise 50 Satisfactions awards.